We are often asked “How do I match my trim boards to the Enhance paneling?” We do not currently coat material for trim boards but have worked with our paint supplier, Sherwin Williams, to find a solution. 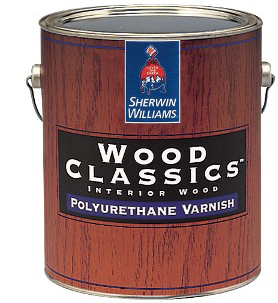 Sherwin Williams has taken our coated material back to their lab and developed a tint code for their “Wood Classics” line of polyurethane varnish. You can walk into any Sherwin Williams store in North America and ask them to tint this product to “Durgin White” or “Durgin Almond” depending on the color you used. If your Enhance paneling is the “Natural” clear color just the can “as is” off the shelf will work fine. In fact, any brand of clear polyurethane should work just fine to match the clear finish. Click here to view Sherwin Williams tint codes! Durgin and Crowell Lumber Company Inc., is an Eastern White Pine sawmill in Springfield, New Hampshire. 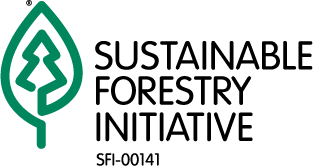 Since its founding in 1976, Durgin and Crowell has grown to become one of New England’s largest manufacturers of kiln-dried Eastern White Pine lumber, annually producing up to 30 million board feet.